Spun off from Sallie Mae, Navient services millions of student loans but has also been involved in lawsuits and controversies. Learn more in our Navient review. If you took out a loan to pay for college, you probably know about Navient because it services federal and private student loans. 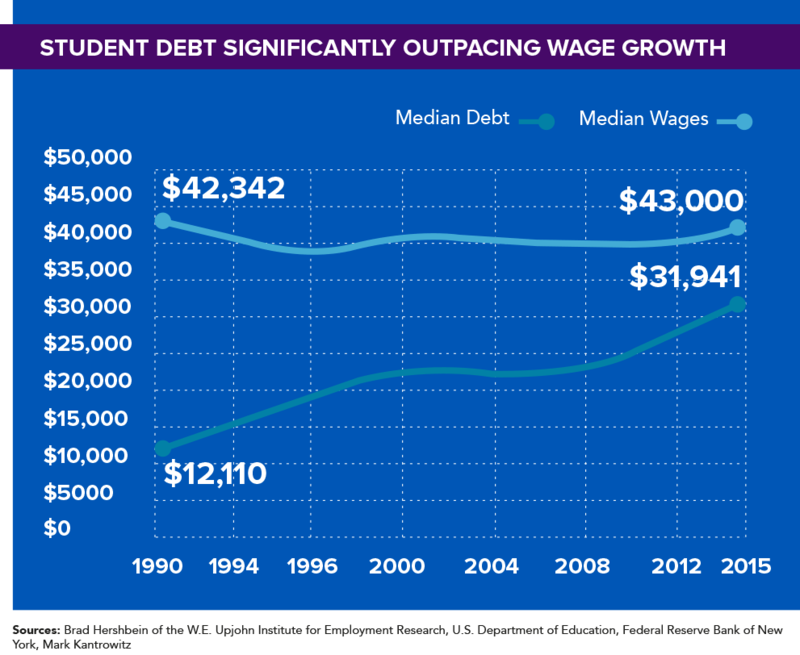 That happened after 2010 when Congress ended the Federal Family Education Loan Program (FFEL) and replaced it with increased direct spending. A few years later, in 2014, Navient separated from Sallie Mae and was listed on the New York Stock Exchange as NAVI. Recently, Navient has come under fire. In October 2018 a lawsuit was filed alleging that Navient ignored borrower’s best interests and misdirected them. You can read more about this controversy here. Read on to see what else Navient offers, and what consumers say about using these services. Who is Eligible for Navient’s Services? Navient typically helps college and university students, or those who have just completed their degrees with financing for their education. Navient also works in the healthcare, portfolio management, credit recovery and revenue enhancement services for courts, toll authorities and credit unions. They are most known, however, for their student loan management programs. If you are currently enrolled or were enrolled in a college or university that has previously partnered with Sallie Mae (or more recently, Navient) and you are about to begin the repayment process of your federal or private student loans, you are likely already a Navient customer. Navient primarily offers loan servicing and management for federal and private student loans. Debt recovery solutions for federal agencies, major cities, small counties and municipalities through Pioneer Credit Recovery Inc. While these professional branches are under the Navient Solutions umbrella, for the focus of this guide, we will be looking specifically at Navient's student loan servicing programs and solutions. If you have a student loan and you'll soon begin the repayment process, you'll receive information from Navient about managing your account. 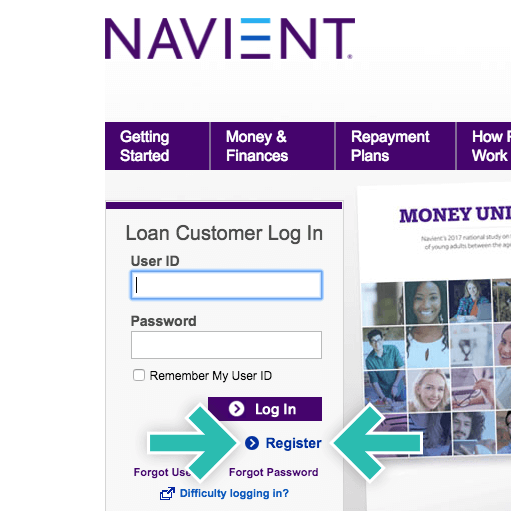 You can register for, and view your student loan details, on Navient's website. You'll need some basic personal information in order to get started, as well as your social security number. Then you'll also create a username and password. 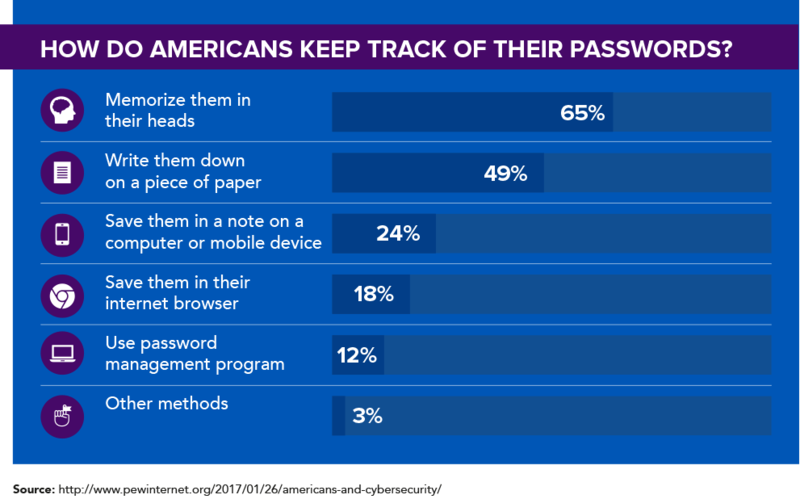 Navient has a number of security measures in place to help protect your security, however one of the best steps you can take for even greater protection is to choose a password that's easy for you to remember, yet difficult for others to guess. Throughout the registration process, you'll also be asked if you wish to sign up for emails from Navient. These emails may contain important information about your account, so it's a good idea to sign up for them using an email address you check regularly. Then you'll simply need to read and agree to the terms of service and your account registration will be completed. Navient offers a wide range of options regarding payment depending on the type of student loan you have. If you have a private student loan, you'll need to contact Navient directly or your other loan servicers to see what options are available in your specific case. If you have a federal student loan, you can review your loan repayment plan options (which can include income-based plans) by clicking here. The standard repayment plan extends to 10 years and includes a fixed monthly payment with a minimum of $50/month. Your monthly payment is based on the amount of your total loan, so if you owe a lot, your monthly payment will be higher. The extended repayment plan is available to most students who have over $30,000 Direct Loan or FFELP loan debt. Under this plan, you have 25 years to repay the loan and can choose from fixed or graduated payments. Fixed payments have the same monthly payment amount for the life of the loan and graduated payments increase over time. The graduated repayment plan banks on the hope that your income will eventually increase after you graduate from college. For this type of plan, payments start lower and increase every two years. The repayment term is generally 10 years, although it may be longer for consolidation loans. The most common complaints include sudden increases in payments, an inability to reach customer service (or the same representative) to negotiate repayment details after extenuating circumstances (such as major illness, unemployment, etc.) and a general lack of empathy or compassion on the part of said service representatives. Many customers claim the support staff is "friendly, but clueless" when it comes to getting the help they need – a sure sign that in its small time frame of existence, Navient has been plagued with "growing pains". There are hundreds upon hundreds of reviews from students and parents having difficulty repaying their student loans. Oftentimes, customers report having trouble with auto-pay – such as funds not being taken out of a bank account, or customers unable to qualify for a lower rate by switching to auto-pay. Customers also say that they were able to call and negotiate loan repayment details individually with Sallie Mae, and that representatives were knowledgeable and considerate of the challenges and limited resources that new graduates have. 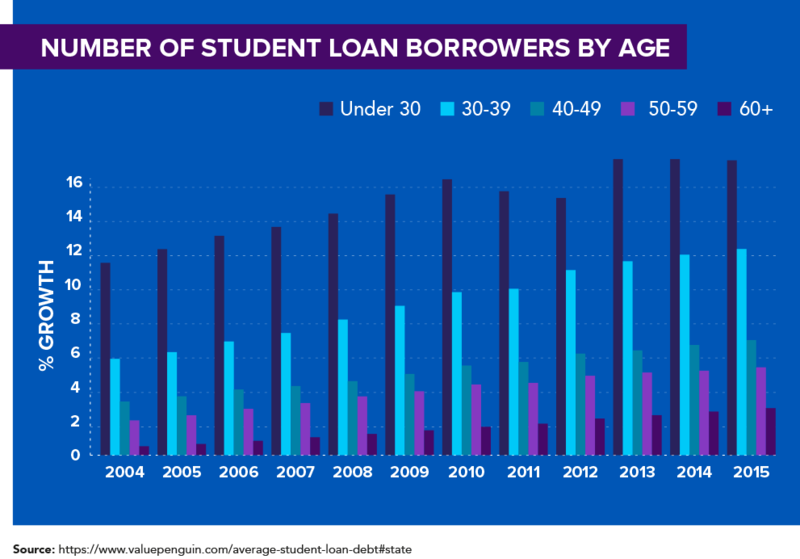 However, it's a different story with Navient, who, customers insist, is all about rolling students and graduates into more and more debt, knowing full well how important their credit score and a solid financial history is to them. That being said, Navient does have some redeeming qualities, although it may not appear that way on the surface. Depending on the type of student loan you have, you may qualify for a rate reduction. Navient has four types of repayment plans – Income-Driven Repayment plans (IDRs) and Income-Sensitive Repayment plans (ISRs). These plans are typically based on not just your income, but also financial hardship and the size of your family. It's also wise to be aware that there are a variety of scams and fraudulent loan servicing companies out there. It's not uncommon to have a lot of questions about how your Navient student loan is handled. Below are some of the most common answers to questions about Navient, direct from their own website and related information. Should you have questions about your specific student loan, please contact Navient directly. Does Navient Servicing offer income-driven repayment plans? Navient does offer income-driven and income-sensitive student loan repayment plans. You can read more about the types of plans available by clicking here. If you qualify for an income-driven repayment plan, you'll have to provide Navient with updated income documentation each year to certify your family size. You don't have to reapply for the plan every year, but you do need to provide required information each year. What is the Public Service Student Loan Forgiveness? Provided that you're working for a qualifying government or non-profit organization, you may have the remaining balance on your Direct Loan forgiven after you've paid 120 qualifying monthly payments under a qualifying plan. It's very important that if you want to qualify now, or in the future, that you complete and submit an Employment Certification form as soon as possible. This allows the system to track your qualifying payments and ensures you're on track to receive loan forgiveness if you quality. Are there other lenders I can go with? There are many different companies that offer low APR rates on student loans, including refinancing your existing student loans at a lower rate, or taking out private student loans. Be sure to check out our detailed guide on these lenders to determine which one may be right for your needs. Will I be reported to the federal credit bureaus if I miss a payment? If you've accidentally missed a payment – don't fret. Typically Navient doesn't report the missed payment until you're 90 days past due. Be sure to always pay your student loans on time, however, so that you can avoid a blemish on your credit report. Navient has a variety of repayment options and even an auto-pay so that payments are deducted directly from your bank account. Why was I put on an "administrative forbearance" and is it costing me money? An administrative forbearance is a decision by Navient in the case where you have a federal loan and have encountered temporary financial difficulty, wherein you may be eligible for a period of deferment or forbearance (released from making scheduled payments for a brief time). Keep in mind that this is not loan forgiveness – just a temporary respite – and you are still responsible for the payment of your loan. Interest can continue to accrue during this time. What happens I have trouble paying my loan back? Navient typically waits 90 days beyond the due date before they report the missed payment(s) on your credit report. Depending on your situation, you may be eligible for a temporary deferment or public student loan forgiveness. Please check the links above for more information on how these options work if you are having trouble paying back your Navient student loan. Does Navient offer consolidation services? Depending on the type of student loan you have from Navient, you may qualify for Direct Loan Consolidation. Private student loans are not eligible for consolidation into a direct consolidation loan, according to the Navient website. You can also add other eligible loans to your Direct Consolidation loan by filling out a PDF form using the link above. How to get Navient student loans forgiven? If you work for an eligible organization or government entity, you may qualify to have your student loans forgiven by Navient under the Public Service Student Loan forgiveness option. This option tracks eligible payments with eligible organizations to determine whether or not your loan can be forgiven after you have made 120 qualifying monthly payments under a qualifying plan. How to consolidate student loans from Navient? Only certain types of student loans can be consolidated, and depending on the type of loan, you may be able to add other eligible loans to your existing Direct Consolidation loan. Please check Navient's Direct Loan Consolidation page for more information. How to refinance a Navient student loan? Navient has a Rate Reduction Program in place, but they often treat it as a last resort for borrowers, because they make less money as people pay less interest over time. It's important that if you want to try and apply for the Navient Rate Reduction program, that you have all of your financial details organized before you call. The number to call is 1-877-905-4527. Keep in mind that Navient is under no obligation to lower your student loan interest rate, and even if you are approved, the rate reduction only lasts for a year, so you'll need to reapply. Even if you're denied a rate reduction, there are plenty of other companies, many of whom are featured here, who may be open to assisting you with a lower rate if Navient cannot or will not. How to defer a student loan with Navient? If you are experiencing temporary financial hardship and would like to apply for a deferment or forbearance on your Navient student loan, please click here for more information. It's important to note that deferring a student loan is not the same thing as loan forgiveness and you may still accrue interest on your loan even if it is successfully deferred. How long does Navient take to process a payment? Depending on which payment option you choose, the payment processing could take anywhere from a week, or it could be nearly instant If done through the paperless billing option. How long does Navient take to consolidate loans? The loan consolidation process can take different amounts of time depending on your specific situation as well as the loan you have and whether or not it is eligible to be consolidated. If you have applied to consolidate your Navient student loan and would like a status update, it's recommended that you reach out to their customer support team to determine your next steps, if any. Are Navient student loans federal or private? Navient works with both federal and private student loans. By far, the largest segment of loans in its service are loans from the Department of Education and Sallie Mae. Keep in mind, you may have more than one student loan or even different types, each accruing different types of interest and late fees accordingly. Check the link above for more information on Department of Education loans, private student loans FFELP loans (discontinued in 2010), Health Education Assistance loans and more. What is the difference between Navient and Sallie Mae? Navient is essentially a spin-off company of Sallie Mae and was formed to handle the servicing of federal student loans. If your Direct Loan, FFELP loan or program loan from the Department of Education was previously serviced by Sallie Mae, it is now managed by Navient. Since the spin-off, Sallie Mae now handles private student loans as well as money market accounts, Certificates of Deposit and High Yield Savings Accounts – essentially securitizing the private student loans that it originates and owns. Does Navient report late payments? Navient typically reports late payments 90 days after the payment is due – Please note this information is anecdotal and user-submitted. If you do not contact Navient regarding temporary financial difficulties or request a deferment, late penalties, fees and interest can continue to accrue, which in turn can damage your credit rating and credit report. Does Navient report to credit agencies? Navient does report to credit reporting agencies, which is why it's so vital to pay your student loans consistently and on time. Defaulting on your student loans isn't just bad for your credit report, but it makes every student after you pay higher interest rates and overcome even more hurdles in an attempt to secure higher education financing. How could the lawsuits against Navient affect me? Several Navient customers have come forward reporting mishandling of their student loan accounts, from lost payments to a detrimental lack of communication that led to default. Because of this, several lawsuits throughout the country have been filed against Navient. These lawsuits are still in their early stages and could take years to amount to anything, if anything. The most important thing is that you keep an eye on your student loan to ensure it is being handled properly. As we learned above, the vast majority of federal student loans and private loans are now owned and serviced by Navient. This means that if you're looking at paying off your student loans, you're more than likely going to be encountering them at some point. 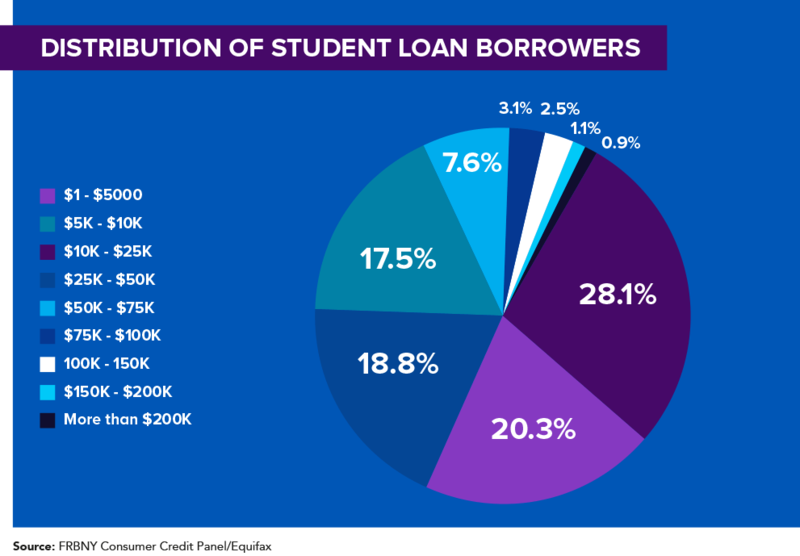 And while there are some alternatives available, Navient remains in a commanding lead when it comes to student loan management for the foreseeable future. Do you have student loans with Navient? What's your experience been with them, good or bad? If you're a current or prospective college student, you may also benefit from our College Student's Guide to Financial Literacy.